Over the last few years here in Glasgow, East Renfrewshire and Ayrshire, there has been something of a house building boom! In areas like Newton Mearns, Capelrig and Pollok houses are being built to keep up with the demand for good quality family homes close to schooling and transport links into the city. When moving into a brand new home many people want to put their own mark on it. This can be done with soft furnishings, wall coverings and of course flooring. One of the most popular flooring types for the kitchen and bathroom is a luxury vinyl. This is not only slip and water resistant, it’s warm underfoot, can be used with underfloor heating. What’s more, it’s available in a range of styles and finishes including concrete, wood, stone, tile and even a sparkle effect. It can also withstand spills and humidity. Real wood never goes out of fashion – of course we see trends for dark and light wood and different laying patterns, and looked after correctly it lasts for generations. The traditional homes tend to go for the rustic, hand scraped styles whereas more modern properties often suit the lacquered pale, clean options. Herringbone has been very popular over the last few years along with contrasting borders. Engineered wood can be used with underfloor heating. We offer a bespoke rug service which has proved very popular with our customers – choose any carpet in the showroom and have it made into a unique bespoke rug to keep your feet warm and make the room cosy in winter. Children’s bedrooms suit a laminate floor as they are hardwearing and withstand spills and colouring pens – and of course make or nail polish are easily cleaned up. However, many of our customers come into the showroom looking for a soft, plush carpet to keep them warm in the winter and provide a nice contrast when opting for a hard floor in living rooms. Natural fibre carpets are really popular, especially those from Fibre and Alternative Flooring. We have also seen a rise in popularity of stripes and edged runners to provide a contrast. If you have a wood or laminate floor in your hallway we can have a matching runner made. 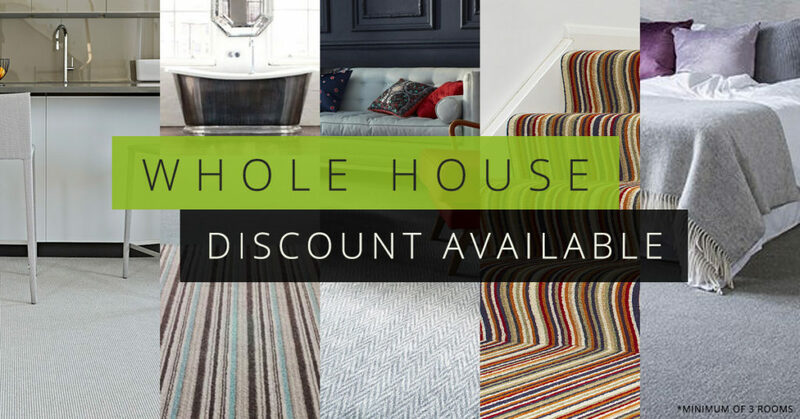 Our whole-house discount means that it’s more economical for customers to get everything done at once – the measuring, shop visits and of course the fitting saving both time and money. 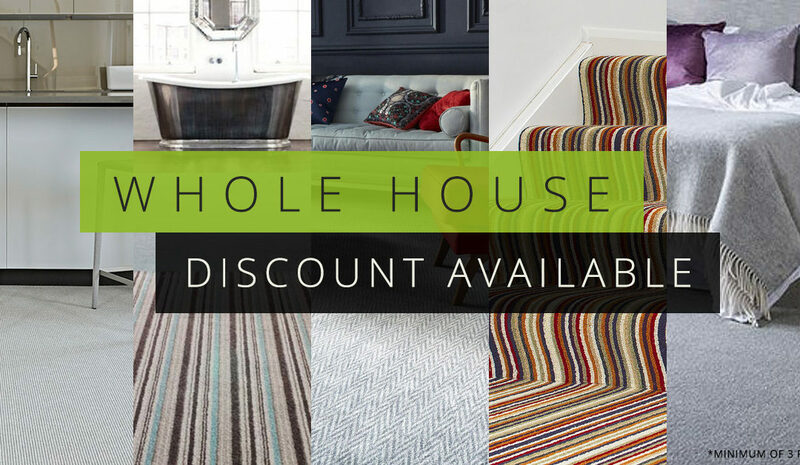 The discount applies to home owners getting a home floored with any combination of carpet, wood, laminate or luxury vinyl in a minimum of three rooms in your home – with cupboards, WC and built in wardrobes excluded. So talk to the experts at First Floors today and find out how much you could save by getting your home re-floored with one of the stunning, top brands we have available here in our award-winning showroom. Error: Error validating access token: Session has expired on Friday, 31-Aug-18 02:04:20 PDT. The current time is Friday, 26-Apr-19 10:06:56 PDT.